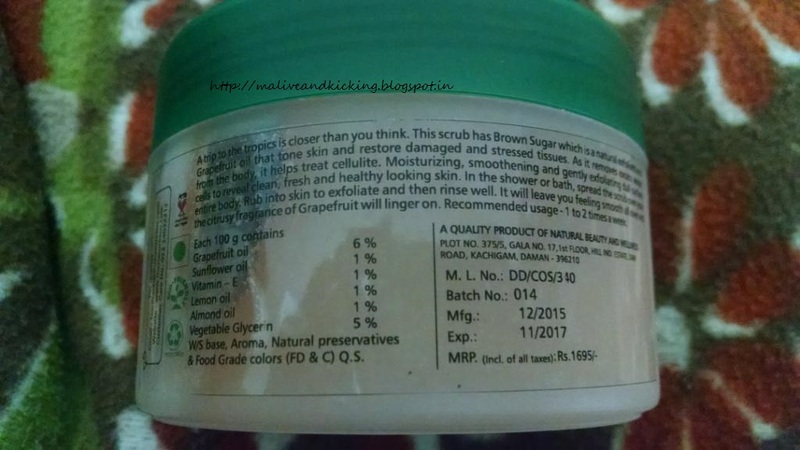 The Nature's Co. is one of the most promising personal care brand that has created a buzz in market with its array of products based of natural ingredients. 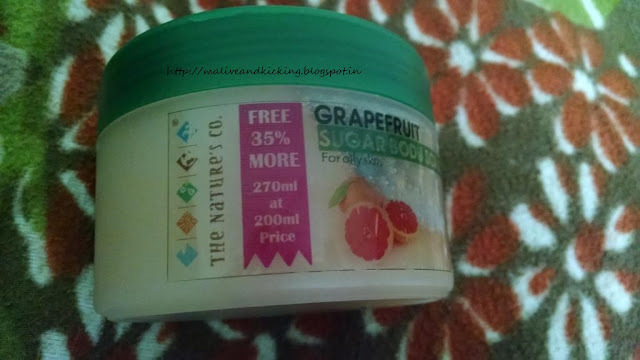 I truly have been eyeing on their splendid products since long and finally got lucky when I got to receive Grapefruit Sugar Body Scrub from them. The Nature’s Co has been pioneers in traditional Ayurvedic products for over 2 decades. The brand constantly strives to develop products that are natural, safe, gentle, effective and yet environment friendly. The brand continually seek new techniques and ingredients to ensure the best possible natural and luxurious products to consumers. All the products of The Nature’s Co are made in the vicinity of nature using Natural Hill Spring Water and natural preservatives. All their products go through strict quality controls, micro-testing and clinical trials on humans only. A trip to the tropics is closer than you think. 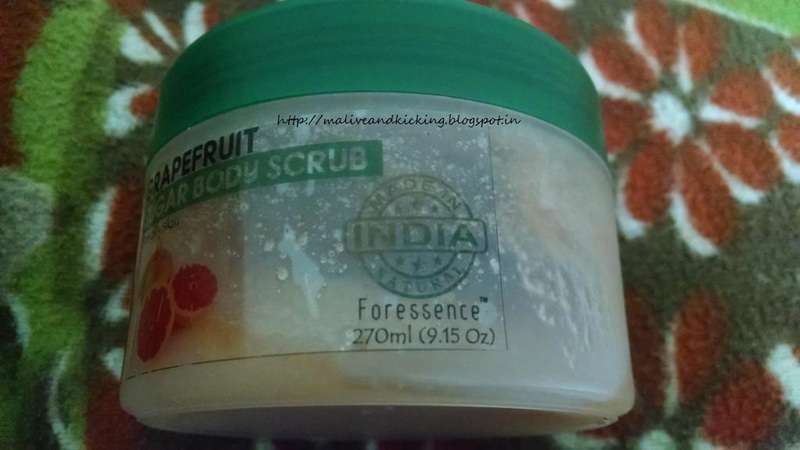 This scrub has Brown Sugar which is a natural exfoliant and Grapefruit oils that tone skin and restore damaged and stressed tissues. As it removes excess water from the body, it helps treat cellulite. Moisturizing, smoothening and gently exfoliating dull surface cells to reveal clean, fresh and healthy looking skin. In the shower or bath, spread the scrub over your entire body. Rub into skin to exfoliate and then rinse well. It will leave you feeling smooth all over and the citrus fragrance of Grapefruit will linger on. 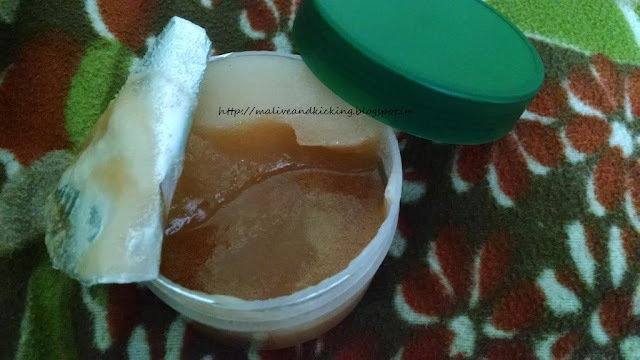 Ingredients: Grapefruit oil, Sunflower oil, Vitamin E, Lemon oil, Almond oil, Vegetable Glycerin. Its light brownish color, semi solid kind of scrub with some liquid melting out of it. It actually made the scrubbing much easier. Since the packaging is a large-mouthed tub, I scooped out little quantity with a spoon to avoid the entire product come in contact with water while used under shower and get spoiled. Gently massaging the scrub on the damp skin made me so divine in terms of fragrance and feel on skin. The scrub melts down as you rub it on the surface of skin and exfoliates the top layer with its humble ingredients. Now here I would like to specially mention that the grapefruit scrub is mainly formulated for oily skin (as mentioned on the packaging also) and despite being on drier side of skin, I gave it a try. And I didn't actually regret it. There is no aggravation of skin issues. Infact the rough patches on elbows knuckles, knees and ankles have been magically reduced in just two-three applications. The dull looking skin looked bright and toned. Yeah, I need to follow it up with a light moisturizer on my skin to replenish the reduced hydration. My hubby who has moderately oily skin is already in love with this naturally exfoliating scrub and is adoring its distinct fragrance. The grapefruit is said to control acne/breakouts appearing out of oily skin, so this soothing scrub will be a great choice for those people. To conclude, the Nature's Co. 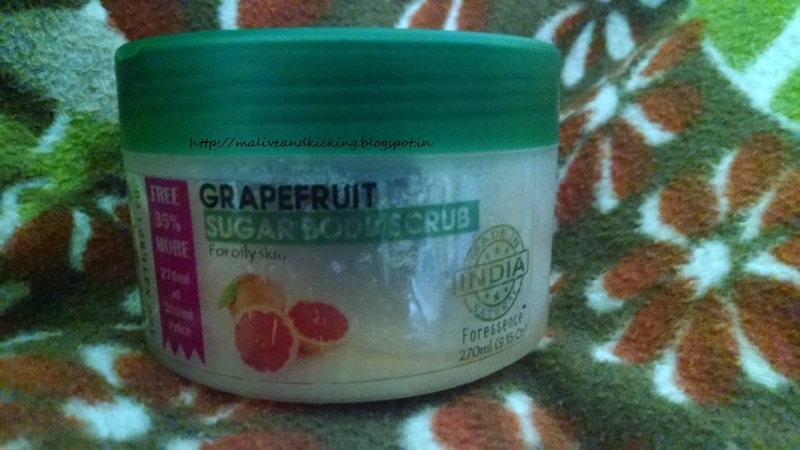 Grapefruit Sugar Body Scrub is a marvelous body scrub loaded with vitamin C and E plus greatly effective essential oils to get rid of dead skin cells. Clinically tested on human beings and not on animals, long shelf life and use of natural preservatives makes the product much desirable. Just a word of caution is that grapefruit is enriched with citric acid, so restrict your usage to once or twice a week maximum. Has any of you tried this product? How did it behaved with you? Do share your experience. 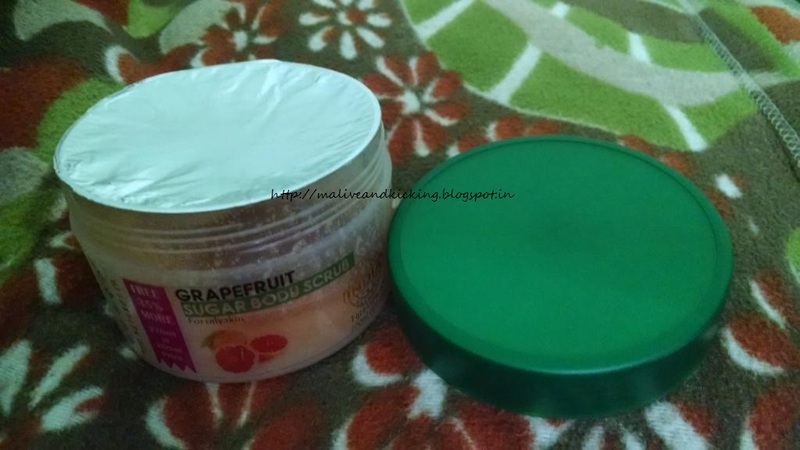 Labels: Body Scrub, Grapefruit, review, The Nature's Co. I haven't tried the Nature's Co body scrubs. I am definitely going to give this a try.